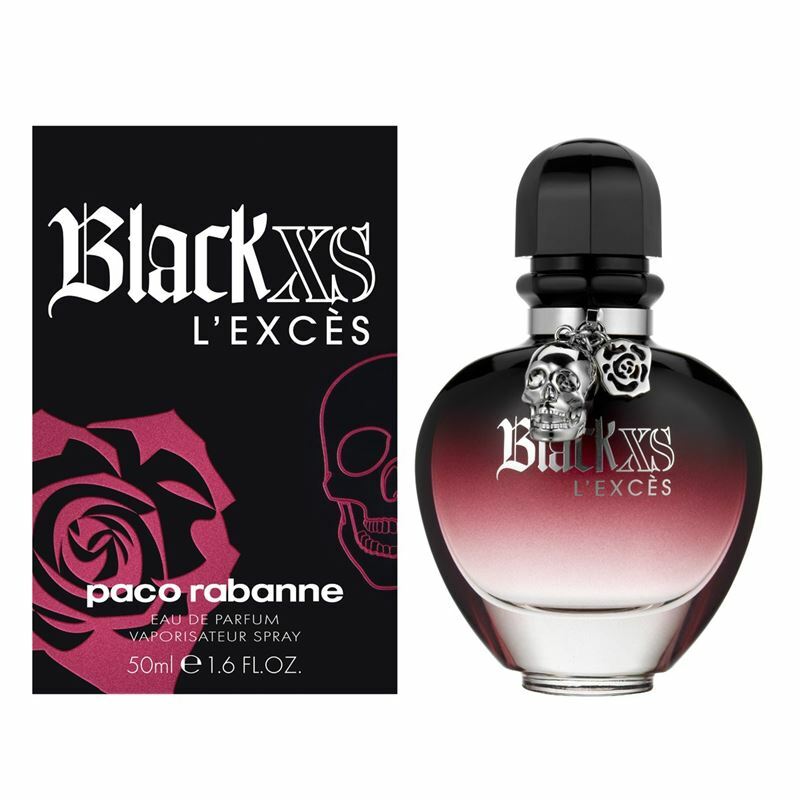 Black XS L'Exces for Her by Paco Rabanne is a Oriental Floral fragrance for women. This is a new fragrance. Black XS L'Exces for Her was launched in 2012. The nose behind this fragrance is Emilie (Bevierre) Coppermann. Top notes are neroli and black pepper; middle notes are jasmine, rose and night blooming cereus; base notes are vanille and cashmere wood. This perfume is recommended to be worn as a night fragrance. Alcohol Denat, Parfum (Fragrance), Aqua (Water), Benzyl Salicylate, Limonene, Linalool, Butylphenyl Methylpropional, Ethylhexyl Methoxycinnamate, Alpha-Isomethyl Ionone, Ethylhexyl Salicylate, Butyl Methoxydibenzoylmethane, Geraniol, Citral, Farnesol,Benzyl Alcohol, Disodium Edta.